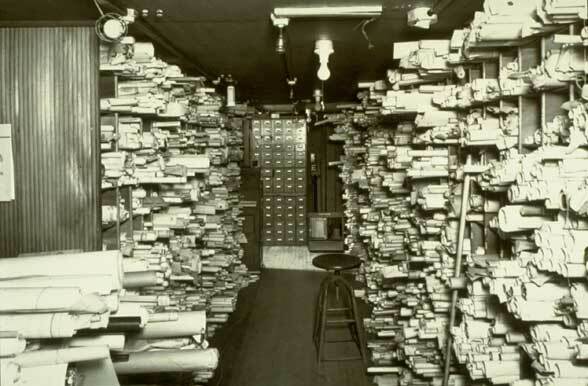 Built in 1901 as an addition to Olmstead’s residence and offices, this historic vault houses approximately 115,00 drawings and other records of Frederick Law Olmstead and succeeding firms. 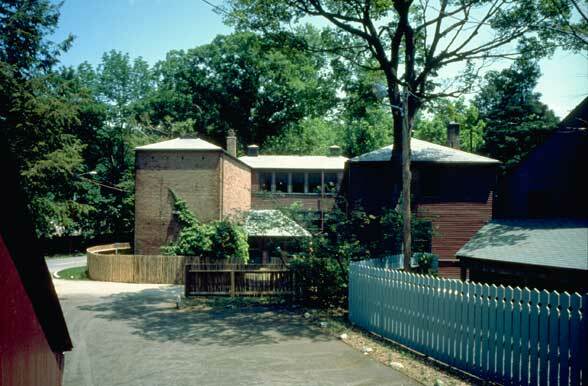 The desire to preserve the collection in a collections conservation environment at the historic site and to improve access to the collection for research dictated a complete renovation and modernization of the vault. 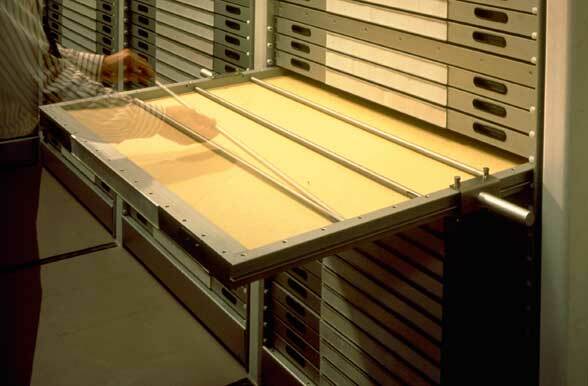 Custom designed aluminum storage systems allow lightweight flat drawers to be transported within the facility for conservation work. Environmental controls, including filters for both particulate and gas phase pollutants, have been installed. A new security system and a Halon fire suppression system activated by a cross-zoned smoke and fire detection system complete measures designed for preservation of this important archive. 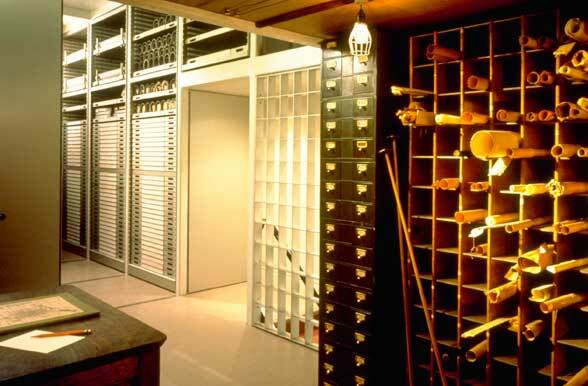 A portion of the original vault interior has been preserved to afford visitors a side by side view of the old and new storage systems through a glass door.